For those who entered the Dennis Murray Student Center on Wednesday, Feb. 22, there was a nostalgic feeling of home in the air. Members of the Marist Fashion Ethical Initiative offered a Clothing Repair Shop, where students could bring their damaged garments and learn basic sewing techniques. In addition to teaching the skills to repair the clothes, the goal of the event was to facilitate the establishment of a relationship between the wearer and their clothing, with the hope that if we develop a greater connection with the clothing we wear, there will be a reduction in the amount of clothes thrown out and thus fewer garments going into landfills. Due to a variety of reasons, such as mass manufacturing and fast fashion, clothing has become widely disposable. A workshop volunteer repairing Katherine Maradiaga’s hat. The Marist Fashion Ethical Initiative is striving to change the way people view fashion, along with their decisions. 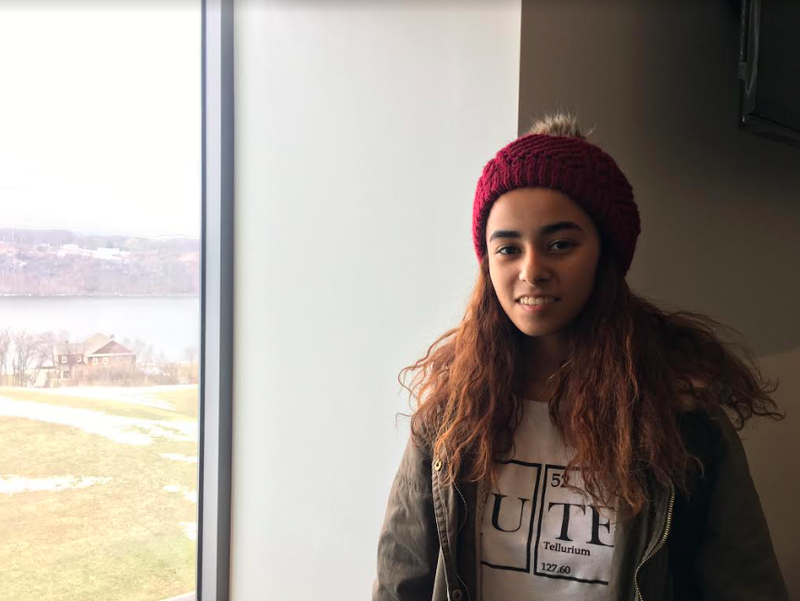 “It makes me feel like I’m at home, and I’m glad that this is available on campus because she doesn’t have to look elsewhere to repair my clothes,” said workshop attendee Katherine Maradiaga. Similar to Maradiaga, many students do not have the skills to fix their clothes and would normally discard them. Katherine Maradiaga wearing her repaired hat. Technically, The Marist Ethical Fashion Initiative is still a committee, but that is only motivating members to think bigger. The committee intends to become an official club with an elected board in the near future. Emphasizing it to be “a place for everyone,” they are pushing for increasing collaboration between fashion and non-fashion students. The committee stresses that the apparel industry is increasingly relevant to other industries because of the many detrimental ramifications it poses for many issues such as global health and the environment. The Marist Fashion Ethical Initiative claims that they will continue to promote innovative thinking and reform that will only take place if students and professionals from all backgrounds come together.